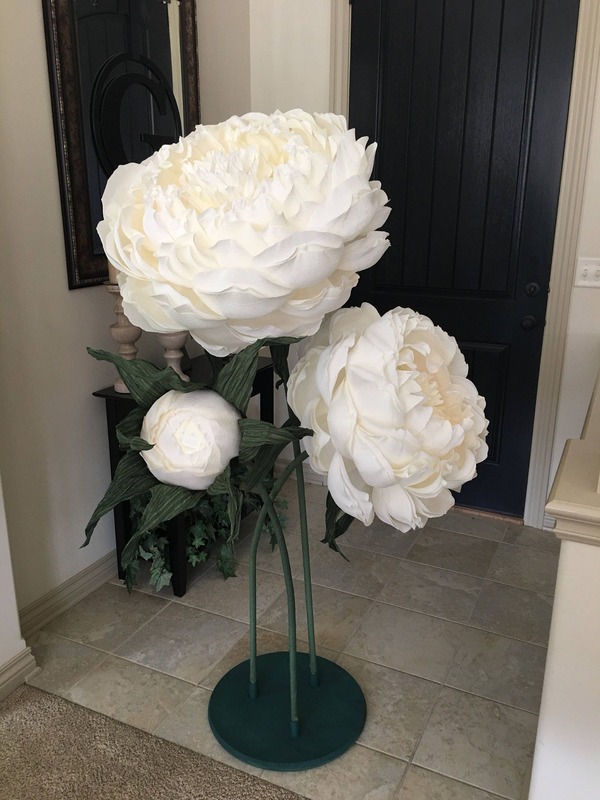 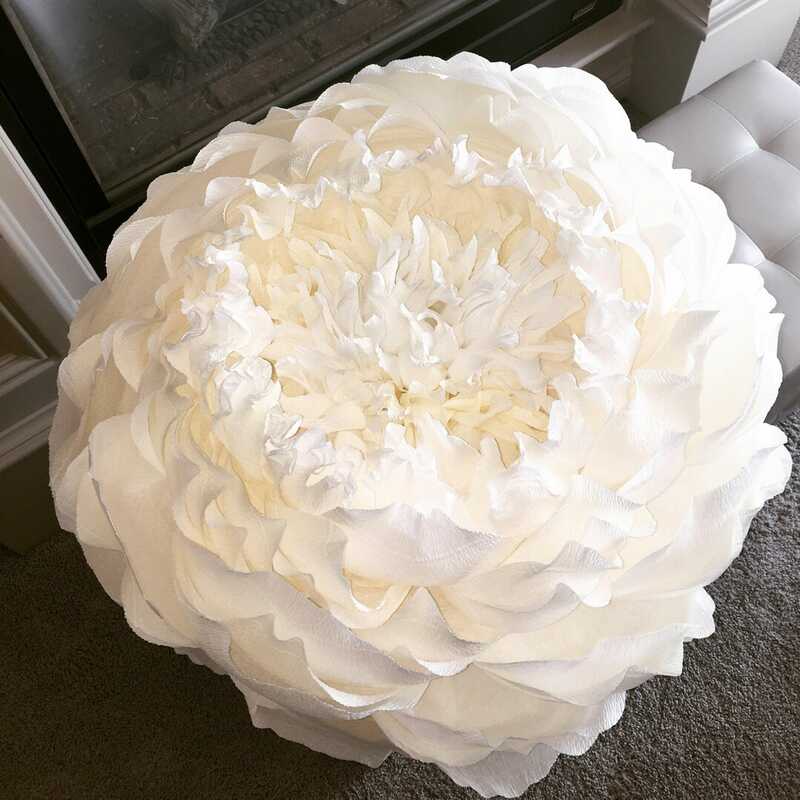 Custom crepe paper peonies on giant stems. 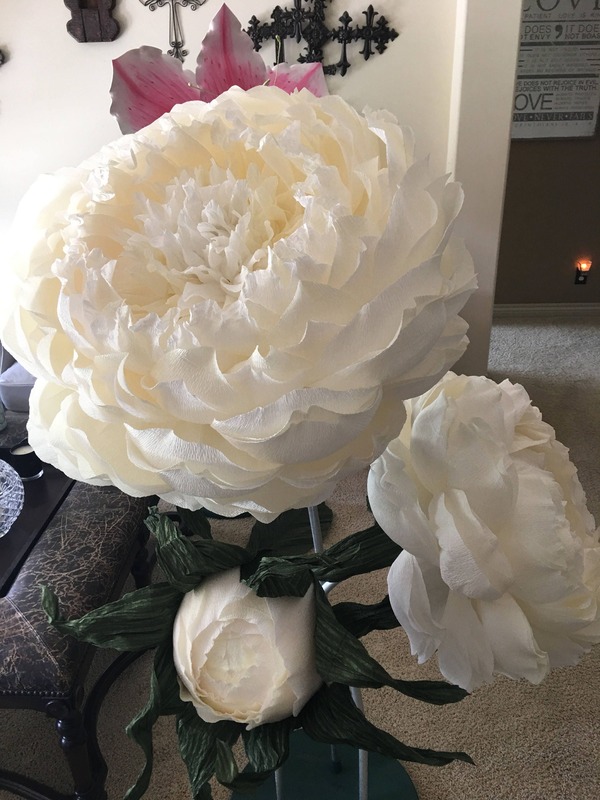 Can be made in any color as well as any flower type combo. 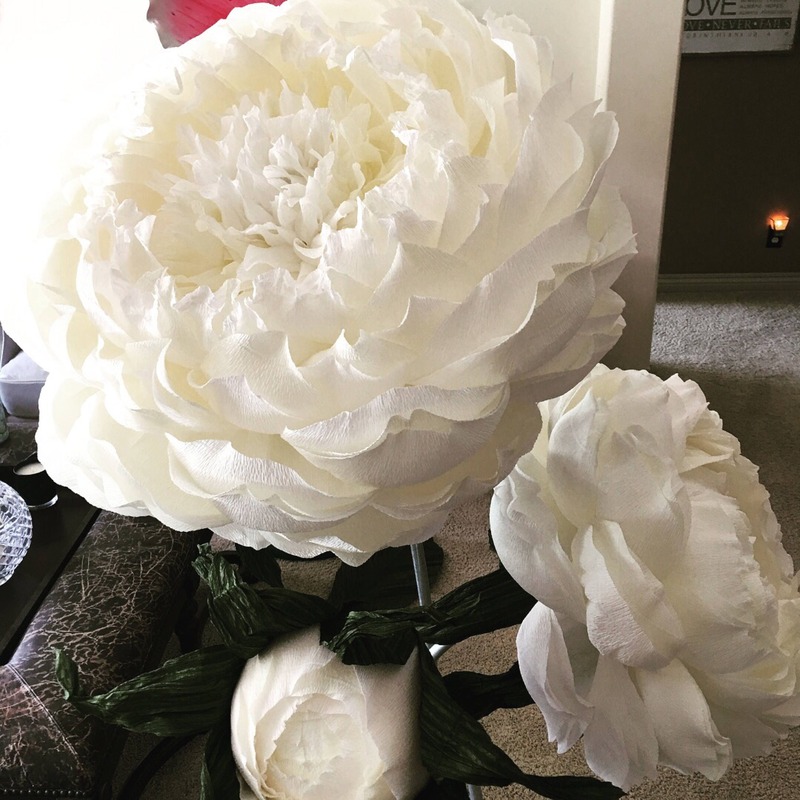 The tallest stem is roughly 5-6 ft.